The specified address is incorrect or the machine is unavailable. You may want to check if the local connection to the Acronis component works - i.e. 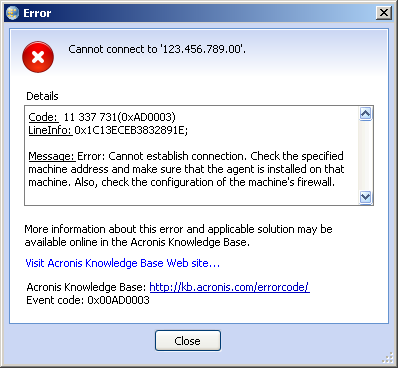 you can install the Acronis Management Console on the same machine to which the connection fails and check if the Acronis Management Console can thus connect to the component installed on the same machine.